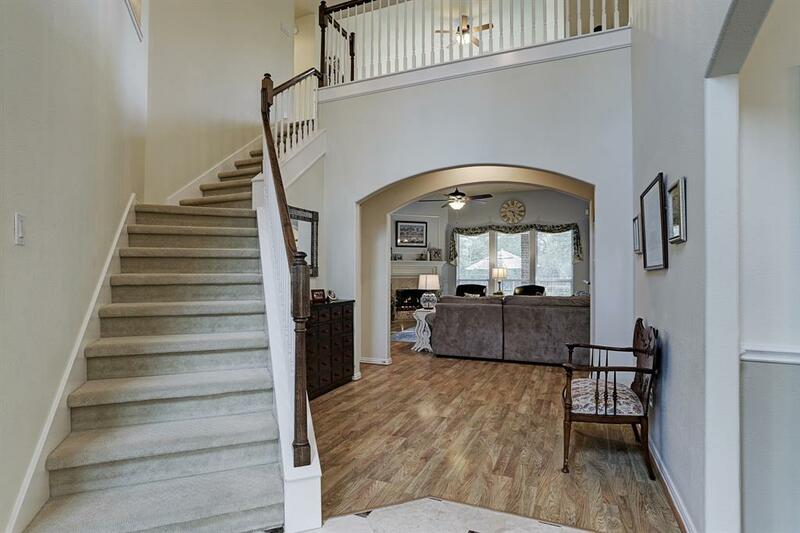 This immaculately kept four bedroom, three and a half bath Emerald Home is nestled on cul-de-sac lot in the Dulcet Hollow neighborhood in Sterling Ridge. 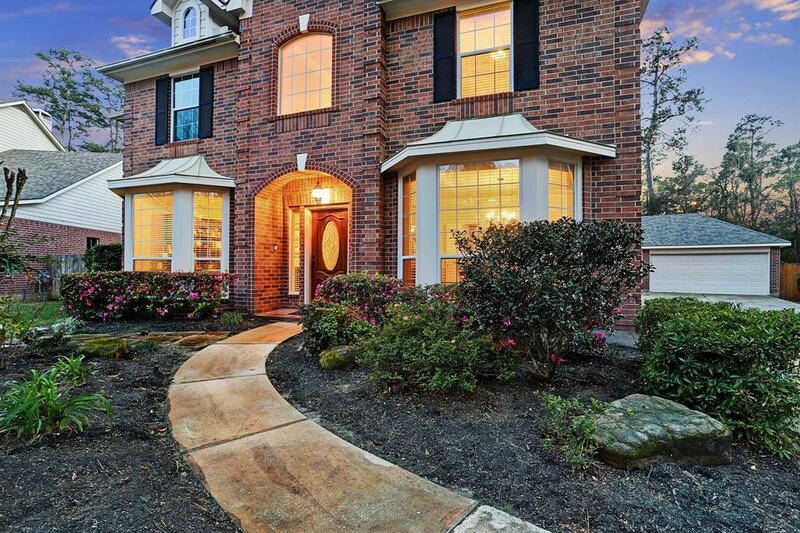 The inviting entry boasts tile flooring that opens up to formal dining and private study. The home features an open concept kitchen, breakfast and living room area. The island kitchen has stainless appliances and cabinets galore. 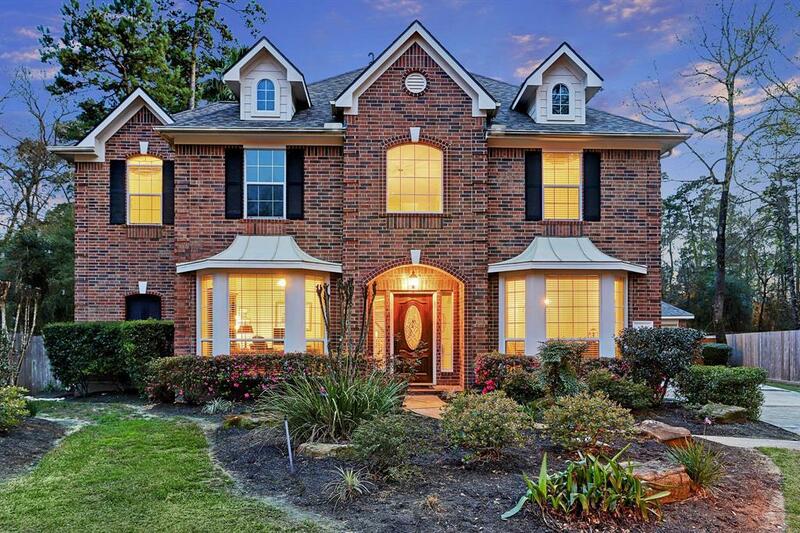 Large master bedroom with high ceilings has a recently remodeled master bathroom that includes dual sinks, vanity area, large tub and frameless shower. Roof was replaced in 2017, AC's replaced in 2018 and 2015, one furnace replaced in 2018, two 40 gallon water heaters in 2010. 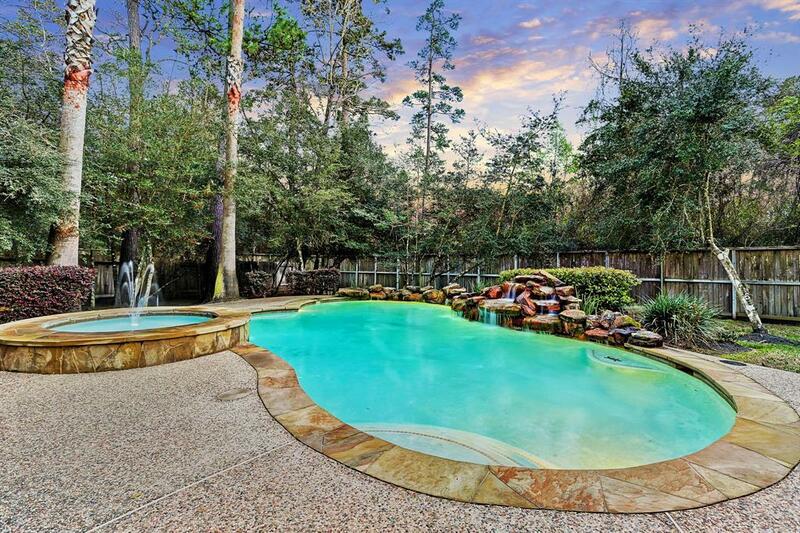 The beautifully landscaped backyard boasts a covered patio overlooking a rock pool and spa. It's a perfect space for outdoor living. With close proximity to TWHS 9th grade campus, Tough Elementary, YMCA, shopping and dining, this home is the perfect location and a MUST SEE!